Be it graduation open houses, company holiday parties, baby showers with close friends, or anything similar, people these days seem to be throwing more parties than ever before. And with a rise in parties comes a rise in needing party supplies. 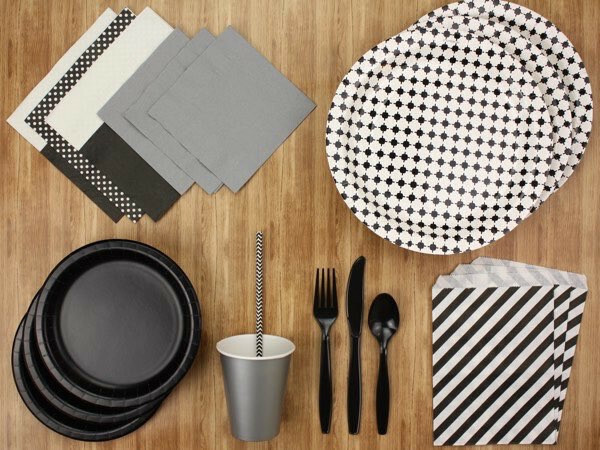 We don’t just mean things like punchbowls and Qdoba catering (although those are important too)—the perfect party needs items like tables, place settings, chairs, and the like to make sure everyone is comfortable and fed. While people have a lot of options these days for party furniture, from dedicated rental companies and furniture outlets to borrowing your parent’s old card tables, one solution has been gaining popularity lately thanks to its convenience and unique look—industrial furniture! Wire shelving: While we’re of the belief that wire shelving can go darn near anywhere, they can come in extra handy at parties. Larger corporate parties (or anyone with an uncle that insists on bringing their strange tiki drinks) can use wire shelves as perfect bar storage for drinks and mixes outside of the refrigerator. For smaller house parties (or anything taking place in or near the garage) wire shelves are a great place for short-term storage of things like birthday presents or barbecue supplies. Plastic storage bins: If you’ve held a party recently, have you noticed how much…stuff you tend to need? Silverware, party favors, cooking supplies, drink mixers, the list goes on. A quick and easy way to get these smaller items more under control is to bring in the sort of plastic storage bins you usually only see in stores and warehouses. Use these to hang onto plastic silverware, ketchup and mustard bottles, and other smaller necessities that might get lost (or blow away into the neighbor’s yard) otherwise. Plastic shelves: The nice thing about industrial plastic shelves is that they come in a ton of shapes and sizes, so you can fit them into a number of situations. Take one add-on shelf and set it aside to work as a serving table, keep a few of them by the grill to hold onto leftovers, or place one in the center of the party as a serving/meeting area. Lockers: Lockers are something you really don’t appreciate until you get the chance to use them, and for bigger gatherings they can come in pretty handy. Even if you’re renting the space for your party, everyone appreciates a place to keep their purses, wallets, coats, and the like, so consider lining the entryway with some industrial lockers to give people a safe place to keep their stuff. Particularly around the holidays when the winter coats are out in full force, these will be appreciated by your guests (and even the staff). If you’ve had any recent parties that got rescued by event shelving or warehouse shelving, leave a comment below—we’d love to see what you came up with!